Pour the chia in a glass container (with lid for sealing). Add the almond milk, maple syrup and a pinch of salt. Stir everything carefully, cover and refrigerate for several hours or overnight, until the chia will not completely absorb the liquid part. 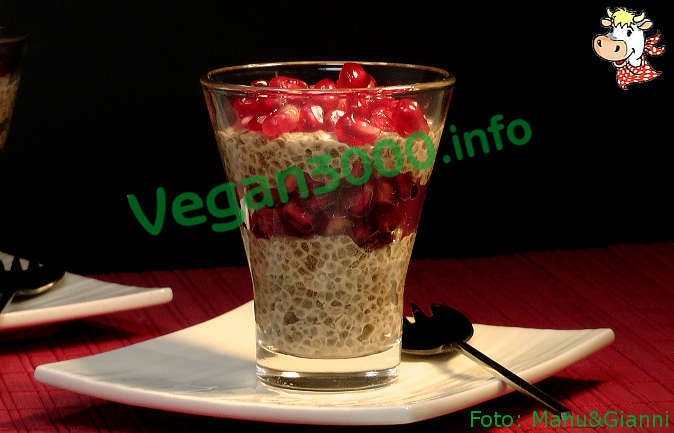 Serve in shot glasses with the chia in layers separated by pomegranate seeds, ending with them. In addition, with that touch of elegance given by pomegranate.